Amid the pomp and circumstance of Lawrence University’s 165th commencement Sunday, June 15, three members of the faculty were recognized for teaching excellence and creative activity. Timothy Spurgin, associate professor of English and Bonnie Glidden Buchanan Professor of English Literature, received the Award for Excellence in Teaching, which recognizes outstanding performance in the teaching process, including the quest to ensure students reach their full development as individuals, human beings and future leaders of society. 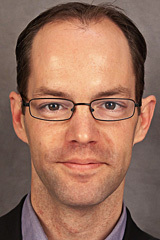 A member of the faculty since 1990, Spurgin previously was recognized with Lawrence’s Young Teacher Award (1993) and the college’s Freshman Studies Teaching Award (1994). He is one of only four faculty members in the history of the awards to receive all three teaching honors. Spurgin’s scholarly interests focus on 19th-century English literature, especially the novel and works of Charles Dickens, as well as literary criticism and theory. His scholarship has been published in the academic journals Dickens Quarterly, Dickens Studies Annual and the Minnesota Review. 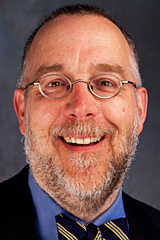 Spurgin also has been a four-time recipient of Lawrence’s Babcock Award, most recently in 2009, for “giving generously of his time and energy to assist students.” After graduating Phi Beta Kappa from Carleton College, Spurgin earned his doctorate in English at the University of Virginia. Monica Rico, associate professor of history, received the award for Excellence in Creative Activity. Established in 2006, the award recognizes outstanding creative work for advancing Lawrence’s mission. Rico joined the faculty in 2001 and served as the college’s Pieper Family Professor of Servant Leadership and director of engaged learning from 2010-2013. Her scholarship focuses on gender and cultural history, especially of the American West. 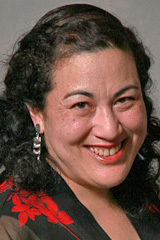 She is the author of the 2013 book “Nature’s Noblemen: Masculinities on the Nineteenth-century Transatlantic Frontier” (Yale University Press), which explores how British and American men performed and constructed masculinity in their encounters with the 19th-century American West and with each other. Burrows praised Rico for her “consistent excellence and brilliance as a scholar” in presenting her the award. In January, Rico was recognized as one of the winners of the 4th Annual Fox Cities Future 15 Young Professionals awards, which honors young business and community leaders for their efforts in work, civic and charitable causes. She attended the University of California-Berkeley, earning a bachelor’s degree with majors in history and political science as well as a master’s and a doctoral degree. Stephen Sieck, assistant professor of music and co-director of choral studies, received the Young Teacher Award in recognition of demonstrated excellence in the classroom and the promise of continued growth. A member of the faculty since 2010, Sieck directs Lawrence’s 110-voice Viking Chorale and co-directs Cantala women’s choir and Concert Choir. His research interests include diction pedagogy and he has published articles on British composer/conductor Benjamin Britten and renowned American composer Aaron Copland. In March, Sieck co-directed the Concert Choir and Cantala at the 2014 American Choral Directors Association North Central Regional Conference in Des Moines, Iowa. Sieck, who also serves as the music director at Neenah’s First Presbyterian Church, earned a bachelor of arts degree with a major in music from the University of Chicago and a master’s and a doctoral degree in choral conducting from the University of Illinois.